I revise every story or draft every time I read it. 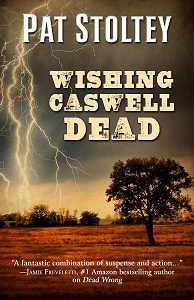 Even though the plan was to spend the weekend revising Dead Wrong, I came across an agent’s name that seemed perfect for Wishing Caswell Dead, a “completed” manuscript. The guidelines require a very short synopsis, shorter than the ones I had already prepared, and the first ten pages of the novel. Cut, cut, delete, delete, then rewrite. The mini-synopsis was done in about an hour. I read over the first ten pages and decided they needed a bit more revising. Add a word here, delete one there, rewrite a sentence, then one more. That took another hour. The query and submission were ready, but I hesitated before sending the e-mail. Should I take one more look? Stop, I thought. I clicked on Send. It’s gone. Why is this so hard to do? Writing a first draft is easy for me. Declaring a novel finished and ready for submission is difficult. 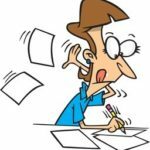 Will I write the life out of a manuscript if I keep going? Or is every revision an improvement? I wish I knew. I keep a copy of each draft, just in case. What about you? Do you revise your work each time you read it? Have you ever ditched a new and improved draft and gone back to an older version? SO many great comments here. I’ll have to write another post about avoidance, because Edna’s words got me to thinking about the ways I avoid submitting. And Dean’s comment about the new you versus the you who wrote the prior draft is most intriguing. I hadn’t thought of it that way, but he’s so right. I thought you were talking about me Patricia. I keep editing and then wonder if I’ve overworked it to the point where it’s not good enough anymore. I do ususally revise and edit as I go. I know King and others suggest that a writer power through that first draft until you’re done, but I find I can’t not go back. Now here’s another question – is that an avoidance technique? Here’s the rub. Anytime we go back a visit a piece of work, whether it be an hour, or a week, we are changed. 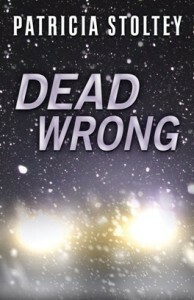 So we read/critique with a different point of view, and things aren’t going to be the same. So we must decide which one of us to trust: The now me, or the one who wrote the stunning draft prior? Not always an easy choice. Sometimes I’ll leave it alone, sometimes not. Depends on who I feel like at the time. Wow, if I kept a copy of every draft, I’d have a hundred files for each novel! I’m a horror when it comes to revisions. I’ve been known to start rewriting whole stories in the middle of writing it. First draft is tough for me, but I enjoy the revisions. Although I’ve done what Heidi says she does on occasion. I keep fixing and fixing until I realize I’m fixing it back to the way it was before. That is my cue to stop. I revise every day’s output. Then I revise based on my crit partners’ feedback. Then I read the whole thing again once I finish. Then I’m sick of it so I send it away. I so hear you! I am trying to refamiliarize myself with something… just READ the thing… can’t stop myself editing… They aren’t done until somebody else declares it so, I think. Good luck with the submission! Pat – Oh all the time! Every time I open up a draft of anything, there’s something I want to fix. Maybe I’m too much of a perfectionist, but there’s always some little bit that I think needs to be tweaked. Yes. I couldn’t not. And it is making me a crazy person but hey! I’m the same. Every time I look at a story, I see something I want to polish a little more. It’s hard to know when finished is finished!